Casamance duo provide beautiful music to complement any special occasion. The unique combination of the Kora and alto flute creates an exquisite texture that is gentle, uplifting, powerful and reflective. 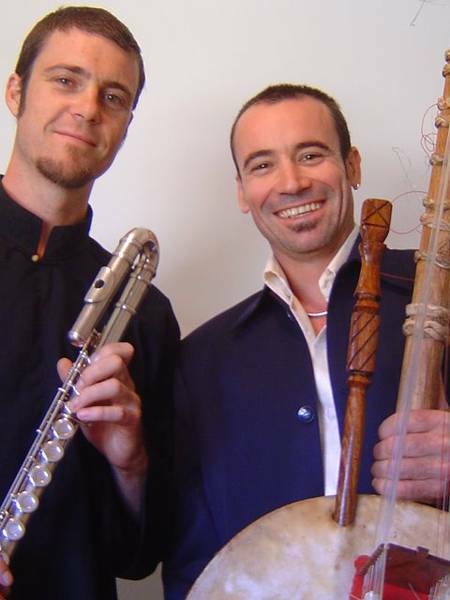 Simon and Dan are two highly accomplished jazz and classical musicians who have performed around Australia and on the international stage. 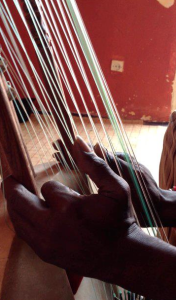 The Kora is a 21-stringed West African harp which is traditionally played in Guinea, Guinea-Bissau, Mali, Senegal, Burkina Faso and The Gambia. It is made of a large hollowed-out gourd covered in cow skin with a long hardwood neck. The strings were traditionally made from strips of hide but are now usually made from fishing line. Simon Lewis has been playing the Kora for around twelve years and has studied with Master musicians in Guinea, Mali and Senegal. In 2011 he travelled to Mali, West Africa, where met with world renowned musician Toumani Diabate and was fortunate to study with his younger brother Ladje Diabate. In 2013 he was awarded a study grant to undergo private training in Senegal with Tijuan Diabate, a young virtuoso player from Dakar. Simon has performed solo and with his ensemble Diamond Sutra. He is available for private functions: solo, duet ( Kora & Flutes ), and trio ( Kora, Guitar & Flutes ).